In Part 1 of this series of articles, I gave a general and simple-minded definition of a complex system. Before we go into the details of how complexity can be quantified, I shall describe here a couple of interesting and well-investigated examples of how something approaching intelligence arises in a complex system comprising of non-intelligent individuals. I shall explain how honeybees in a beehive, and ants in an ant colony, operate as a single, intelligent, super-organism. I shall also point out how we humans can draw some practical lessons from studies on these complex systems. The honeybee is the most thoroughly investigated social insect of all. The beehive is an example of a self-organized superorganism. Each honeybee has hardly any intelligence to speak of, but the hive as a whole possesses ‘swarm intelligence‘. (i) The ovaries of the worker bees do not develop. (ii) They raise larvae in such a way that the young bees cannot become queens, so that the queen has no rivals so long as she is secreting the pheromone. [It may be mentioned here that all female honeybees, including the queen bees, develop from larvae which are identical genetically. Those fed on a certain ‘royal jelly’ become fertile queens, while the rest remain sterile workers. (iii) The pheromone guides a husband to the queen on her nuptial flight. (iv) The pheromone promotes the consummation of the marriage. 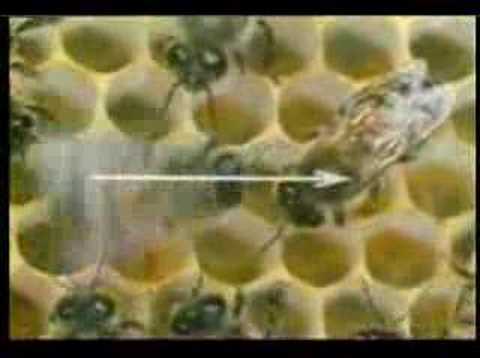 When the secretion of the pheromone by the queen bee stops, the above processes are annulled. The worker bees become fertile again, and daughter queens can be raised. Each hive has a distinctive scent, common to all its members. This enables the bees to recognize members of the same hive, and repel foreigner bees. HOW DOES A LARGE GROUP LIKE THIS MAKE DECISIONS? Evolutionary processes have made the beehive an effective decision-making unit, even when nobody is in command. The queen bee is not in command. Let us see how, for example, the beehive collectively decides on a new site for setting up another hive. In late summer or early spring, when the sources of honey are aplenty, a large colony of bees (typically with ~10,000 bees) splits into two. A daughter queen and about half the population stays back in the old hive, and the rest, including the queen bee, leave so that they can start a new hive at a carefully selected site. How is the new site chosen? Typically, a few hundred worker bees go scouting for possible sites. The rest stay bivouacked on a nearby tree branch, conserving energy, till an acceptable new site has been selected. An acceptable site for nesting is typically a cavity in a tree with a volume greater than 20 litres, and an entrance hole smaller than 30 cm2. The hole should be several meters above the ground, facing south, and located at the bottom of the cavity. The scout bees come back and report to the swarm about possible nesting sites by dancing a waggle dance (video below) in particular ways. Typically there are about a dozen sites competing for attention. During the report, the more vigorously a scout dances, the better must be the site being championed. Deputy bees then go to check out the competing sites according to the intensity of the dances. They concur with the scouts whose sites are good by joining the dances of those scouts. That induces more followers to check out the lead prospects. They return and join the show by leaping into the performance of their choice. By compounding emphasis (positive feedback), the favourite site gets more visitors, thus increasing further the number of visitors. Finally, the swarm flies in the direction indicated by mob vote. As Kevin Kelly said (1994), ‘It’s an election hall of idiots, for idiots, and by idiots, and it works marvelously’. The waggle dance is so performed as to direct the fellow bees reasonably correctly about both the direction and the distance of the suggested new site. The dance traces the figure 8, or rather the Greek letter capital theta, Θ. The straight run (i.e. the middle line in this symbol) is the most informative part of the dance, which is given special emphasis by a rapid lateral vibration of the body (the waggle), which is the greatest at the tip of the abdomen, and the least at the head. If a forager bee is dancing outside the hive on a horizontal surface, the straight run points directly towards the suggested target site. Let us say that the suggested site is located ~20o to the right of the Sun. If the bee is dancing inside the hive on a vertical surface, then gravity temporarily replaces the Sun for reference purposes, and the straight run of the waggle dance is oriented ~20o away from the vertical. On coming out of the hive, the bees using this information relate the indicated orientation angle to the position of the Sun. The distance of the suggested site is indicated by the length of the straight run in the figure Θ. Evolutionary processes have been operative, not only in the development of the waggle dance as one of the signalling mechanisms in the beehive (other signalling mechanisms being via the specific pheromone mentioned above), but also for some other survival instincts of the bees. Seeley and coworkers (2006) discovered a good example of this in the speed-versus-accuracy feature of the final decision for the new nesting site. Typically, there are about a dozen nesting sites competing for attention. Do all but one get eliminated by compounding emphasis and consensus? No, not necessarily. Eliminating all but one site will adversely affect the speed of the decision-making process, which may be detrimental to the overall welfare of the hive (e.g. higher energy costs). Rather than going by consensus (agreement among practically all the scout bees), the hive goes by quorum (sufficient number of scout bees visiting any site). The swarm flies to occupy a site which is seen to be visited by ~150 bees. This may turn out to be an erroneous decision, but not very likely to be so. A compromise is reached between accuracy in the selection of the nesting site, and speed with which the final decision is taken. Through a process of Darwinian natural selection and evolution, the species has fine-tuned itself for what is best for its survival and propagation. Emergent behaviour and biological evolution go hand in hand. Let us now list the salient features of what goes on in this complex adaptive system. The system comprises of a large number of distributed members or agents, namely the honeybees, acting in parallel. In the language of network theory, each bee can be viewed as a node of the network, and a possible line (‘edge’) joining any two nodes represents the interaction (communication) between those two bees. Interactions between nodes or agents are through signals (waggle dance, pheromone secretion and ingestion, etc.). An edge in the network represents exchange of information. The nodes (bees) have sensors for receiving the information (visual, chemical, tactile). Processing of information occurs in the brains of the bees, aided by ‘instinct’ or in-born tendencies (internal rules). That the bees survive and flourish is proof that evolutionary processes have led to the development of adequately appropriate internal rules. The beehive is an ADAPTIVE organism (a complex adaptive system). For example, if a fraction of the population is decimated, the remainder would quickly readjust, and carry on as before. There is no central command. The individuals are autonomous, but what they do is influenced strongly by what they ‘see’ others doing. Emergent behaviour arises through sheer large numbers and effective communication and interaction. In the present case, swarm intelligence emerges, of which no single member is capable alone. The network or web of bees possesses ‘nonlinear causality’ of peers influencing peers. Small causes may induce unexpectedly large responses. Different initial conditions can lead to dramatically different end results. The reason for the nonlinearity can be sought and found in the positive feedback feature, or in the law of increasing returns. The evolutionary (internal rules) part of the behaviour of the bees can also be explained in terms of emergent behaviour. The networked swarm is adaptable and resilient, and it nurtures small failures so that large failures do not happen frequently. This helps not only survival and propagation, but also favours NOVELTY. The large number of combinations and permutations possible among the interacting agents has the potential for new possibilities. And if heritability is brought in, individual behaviour and experimentation leads to PERPETUAL NOVELTY, the hallmark of evolution. The beehive can teach us a thing or two about decision making by groups of individuals, particularly the compromise between good decisions and swift decisions. Swift decisions may be necessary at times, even at the risk of some mistakes. Seeley et al. 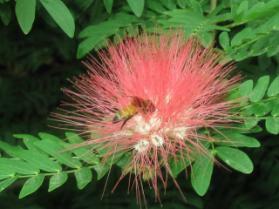 (2006) have pointed out some instructive features of how the bees do it. The first thing to note is that the foraging bees are self-organized in a way that promotes diversity of information. There is no ‘leader’ to snuff out dissent. The decision-making process is spread over all the members of the group in a decentralized fashion. Diverse information about all kinds of nesting sites is brought to the hive, without bias. Secondly, the bees are autonomous, with no inclination or pressure for blindly imitating other bees. There is fair competition among the possible nesting sites. On seeing a waggle dance, a bee goes to the suggested site to check for itself the merits of that site. This independence of action helps prevent propagation of errors in site selection. Thirdly, the quorum-sensing approach allows aggregation of the diversity and independence of information, but only long enough to ensure a low probability of decision error. An ant colony has swarm intelligence, just like a beehive. It is instructive to describe its basic (even though highly simplified) features here, the more so because ANT LOGIC has already found several applications in artificial evolution and in computational science. Dorigo and coworkers did some pioneering work in this regard. An ant is a dumb creature, small in size, and not able to see far. Considering its size, the landscape in which it moves around must appear very rugged to it. Then how is it that ants in an ant colony are able to find food rather rapidly and generally by the shortest route, in spite of the fact that there is no one in command of operations? It is pheromones and swarm intelligence again. An ant colony is a remarkable parallel processing machine. To quote Kevin Kelly again: “Ants are the history of social organization and the future of computers.” The ants function independently and simultaneously, and communicate with one another ‘unknowingly’ via pheromones. A number of scout ants set out in search of food, going in different directions independently and randomly. They emit the pheromone all the time, both while going away from the nest and while returning to it. It follows that a trail used by many ants will have a strong pheromone odour. The pheromone evaporates slowly, i.e. its strength on a trail decays with time. Suppose one of the ants has accidentally discovered the shortest usable path to food Let us call it trail A. Then it will be able to travel to the food and come back by the same path in the shortest time, compared to other ants which did not happen to take this route. The to and fro journey along trail A will result in twice as much pheromone along it, compared to a trail which is twice as long. Different ants have traversed different trails, and the trails may intersect. At crossings where many trails intersect, the ants choose the one with the strongest odour, thus further strengthening its odour (law of increasing returns or positive feedback). This self-reinforced emergence of the optimum trail is an example of AUTOCATALYSIS, and is just one instance of a variety of pattern-formation processes in complex systems. Investigation of one type of complex system can provide insights into what may be happening in other complex systems. An obvious case in point is: How to understand human intelligence as a kind of swarm intelligence. 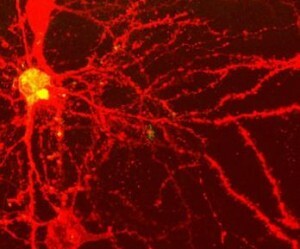 Human intelligence emerges from the interactions among neurons, in spite of the fact that any particular neuron is as dumb as can be. So when we ask questions like how life emerges, and why living systems are the way they are – these are the kind of questions that are really fundamental to understanding what we are and what makes us different from inanimate matter. The more we know about these things, the closer we’re going to get to fundamental questions like, ‘What is the purpose of life?’ Now, in science we can never even attempt to make a frontal assault on questions like that. But by addressing a different question – like, Why is there an inexorable growth in complexity? – we may be able to learn something fundamental about life that suggests its purpose, in the same way that Einstein shed light on what space and time are by trying to understand gravity. A lot of research and efforts have been made in studying the behavior of various animal colonies and their activities. I wonder if efforts on same scale have been made to decipher the science of human society. Although sociology is a branch specifically dealing with human social structure and activity, but, in my opinion, it does not try to disclose the intricacies of human society in the same way as what has been done for beehive and ant colony in your article. How the humans interact with each other and surroundings when examined by a non-human being having equal or more intelligence than a human? Such an investigation will exactly be on same lines as the investigation given in your article on your behive and ant colonies. It may reveal some interesting facts about human psycology and activity which may not be revealed by studying human society as human beings. I hope to cover interactions among humans in a future article in this series. Meanwhile, please see the excellent book by A.-L. Barabási (2003), Linked: How Everything is Connected to Everything Else and What It Means for Business, Science, and Everyday Life. Cambridge, MA: Perseus. Another favourite book of mine is by Hans Moravec (1999), Robot: Mere Machine to Transcendent Mind. Oxford: Oxford University Press. Coming to the last part of your comment, evolutionary robotics is a science which is leading to interesting insights into how humans interact with one another.See, for example, S. Nolfi and D. Floreano (2000), Evolutionary Robotics: The Biology, Intelligence, and Technology of Self-Organizing Machines. Cambridge Massachusetts: The MIT Press. I am the admin for this site. We are interested in your opinions on the entire series on complexity. Please contact us if you would like to help us refine our approach towards making such subjects understood by the general public.